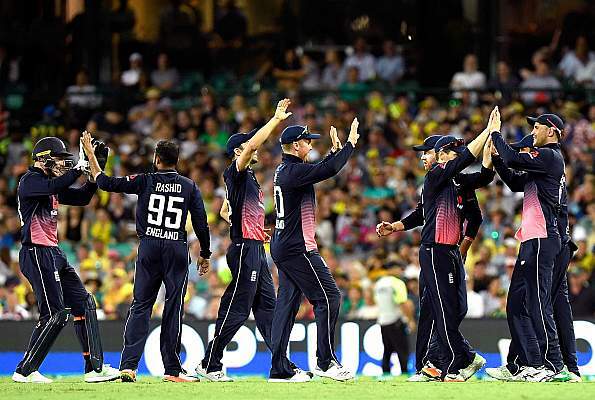 England scored 481 runs in 50 overs with the help of wonderful centuries of Alex Hales and Johnny Bairstow in the five-match series on Tuesday. This is now the world record for the highest score in ODI cricket. Even before this, the world record of highest score was also associated with England, which was 444 runs for three wickets against Pakistan on the same ground two years ago. Alex Hales scored 147 runs in 92 balls with 16 fours and a six, while Bairstow scored 139 runs in 92 balls with 15 fours and five sixes. Jason Roy and captain Eoin Morgan also played an important role in helping England reach this huge score. Roy scored 82 runs in 61 balls with the help of seven fours and four sixes. Eoin Morgan completed the half-century on 21 balls in this match. He faced 30 balls in his innings and scored 67 runs with three fours and six sixes. Australia made an embarrassing record after the big loss of 242 in this match. Australian team was bowled out for 239 runs in 37 overs. This is the biggest defeat of Kangaroos in ODIs. One the other hand this is the biggest win for the England team. Earlier, England’s biggest win was 210 runs, which they achieved in 2015 against New Zealand in Edgbaston.